It is officially May, and that means Mother’s Day is right around the corner! 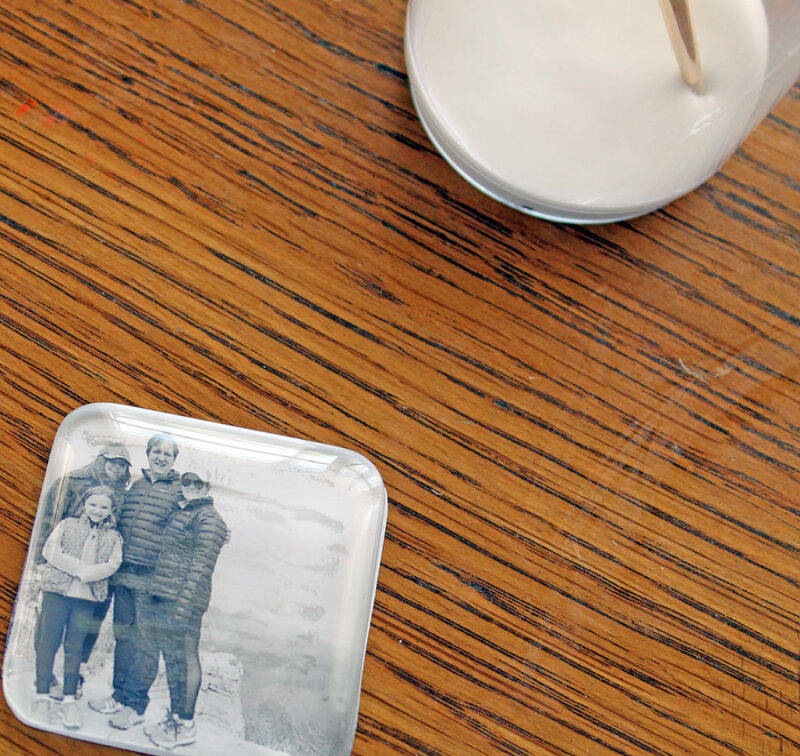 Because moms enjoy handmade gifts from the heart, I’m sharing an idea that I’m sure any mom would love to receive. 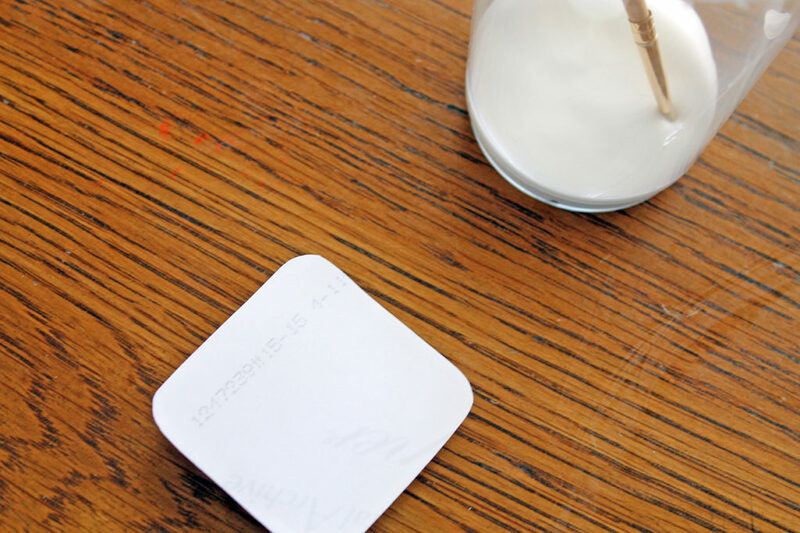 And there’s a bonus…I’ve teamed up with my friend, Katie, from It’s in the Details once again. You may remember our LAST COLLABORATION…we shared two different ideas for valentine floral centerpieces. 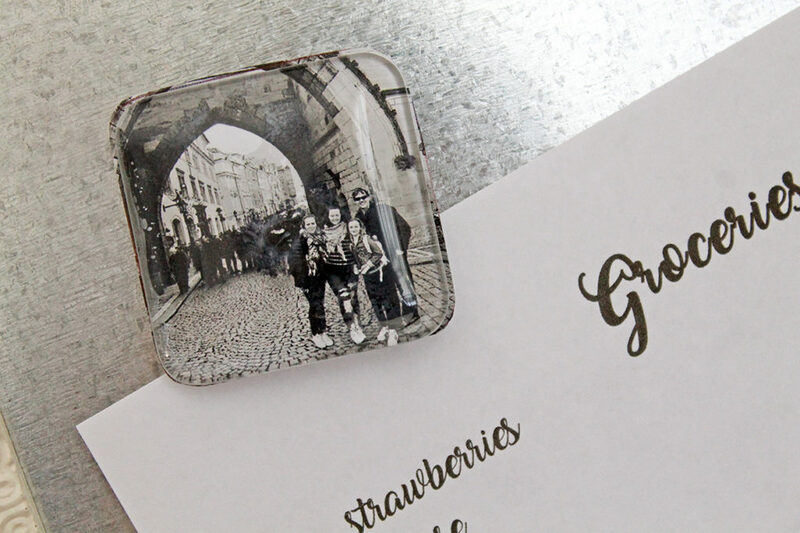 So you are not only getting one idea, but TWO ideas to create gifts for those special moms! 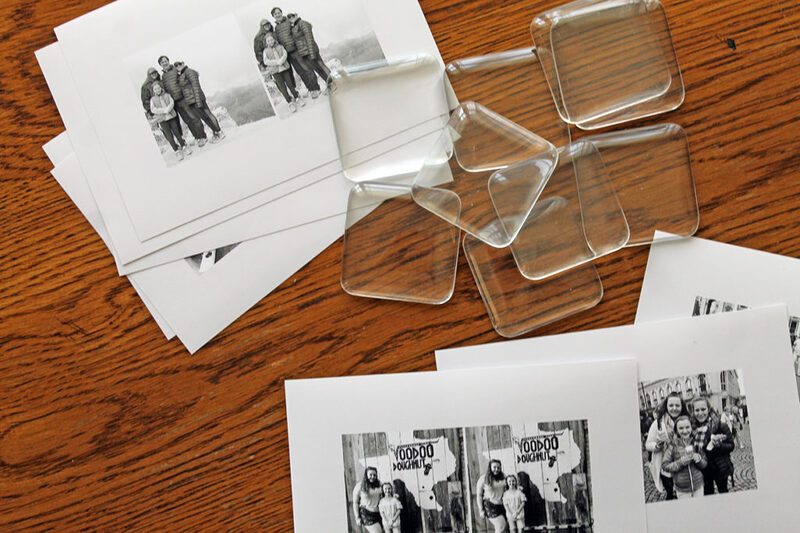 Katie and I decided that the common material in our DIY projects would be photographs…so while our projects are different, we are both using photos to create them. 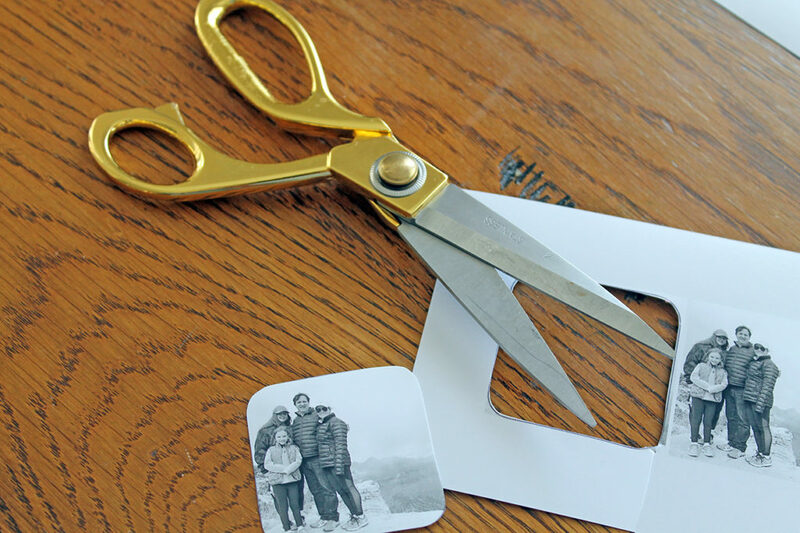 For my gift idea, I’m showing you a simple idea to make photo magnets. 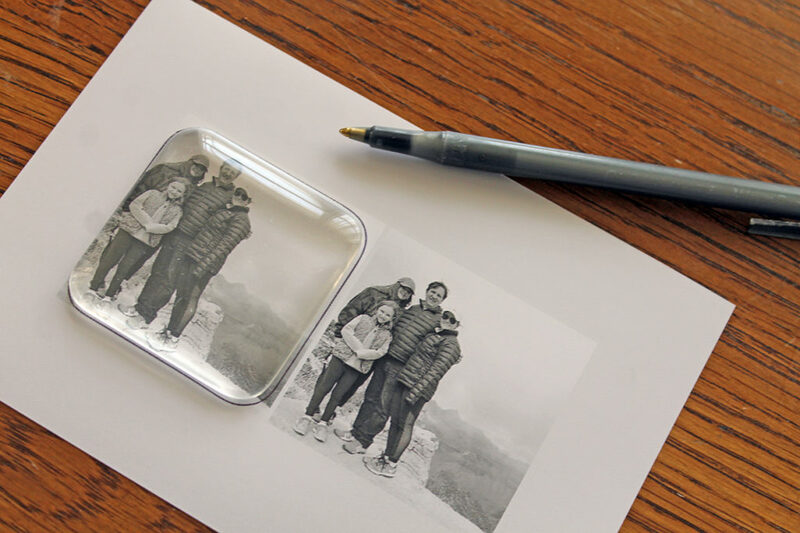 First, place one of the glass tiles on top of a photo showing the area that you want included in the magnet. 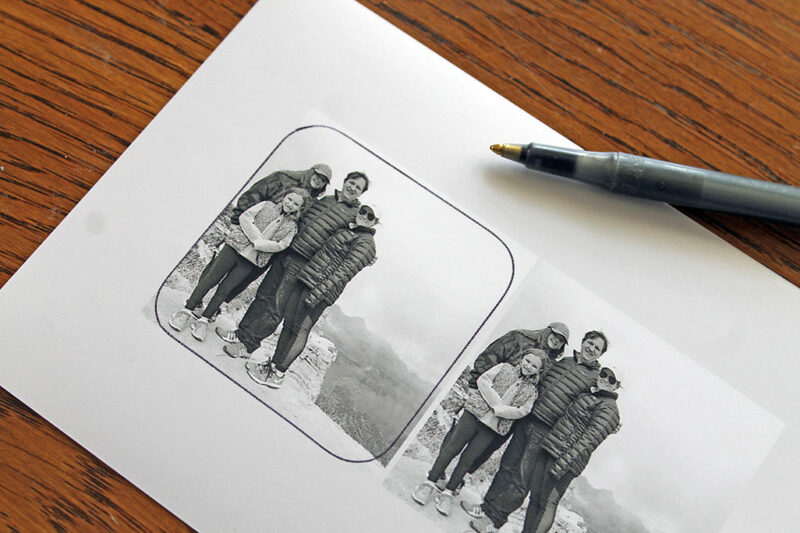 Trace it with a pen or pencil, and then cut it out. 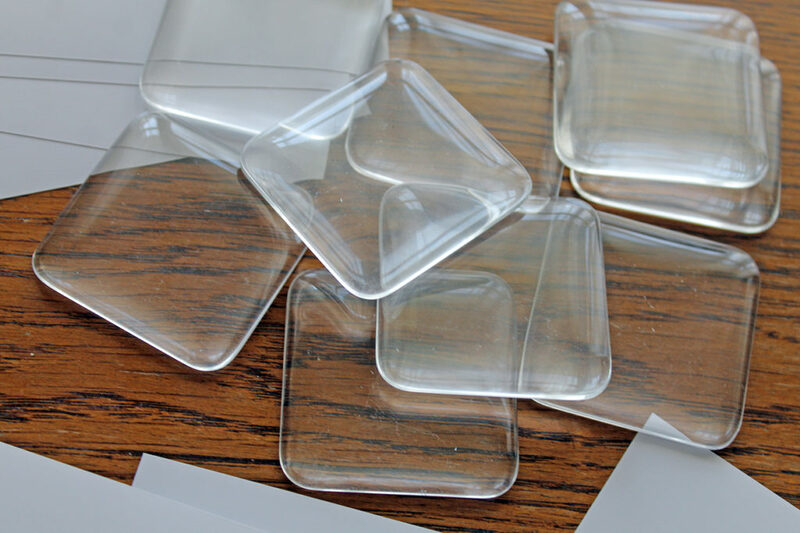 The next step is to adhere the photo to the glass tile. 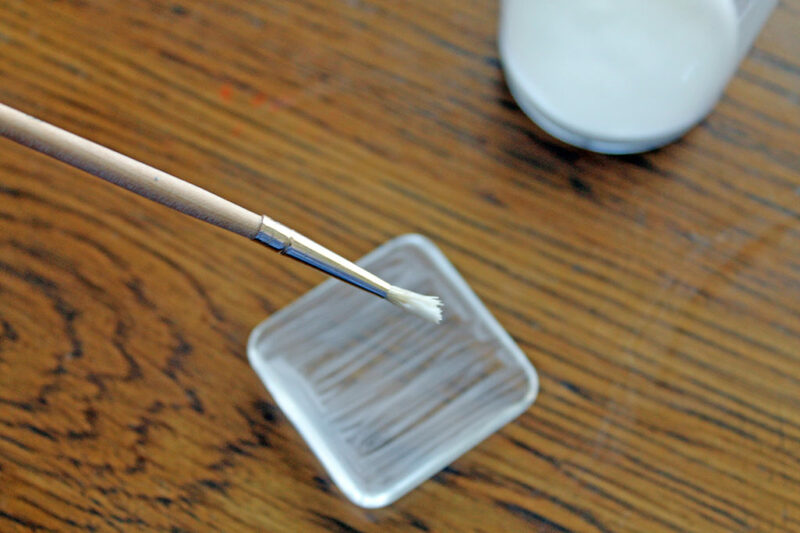 Using a small paintbrush, apply a thin layer of the Elmer’s glue to the flat side of the glass tile. 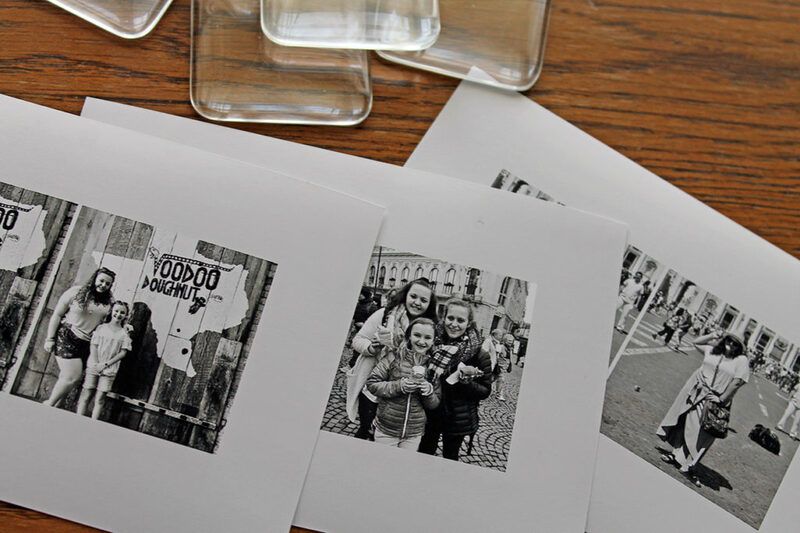 Then place the photo on top, with the picture side on the glue. Allow the glue to fully dry. 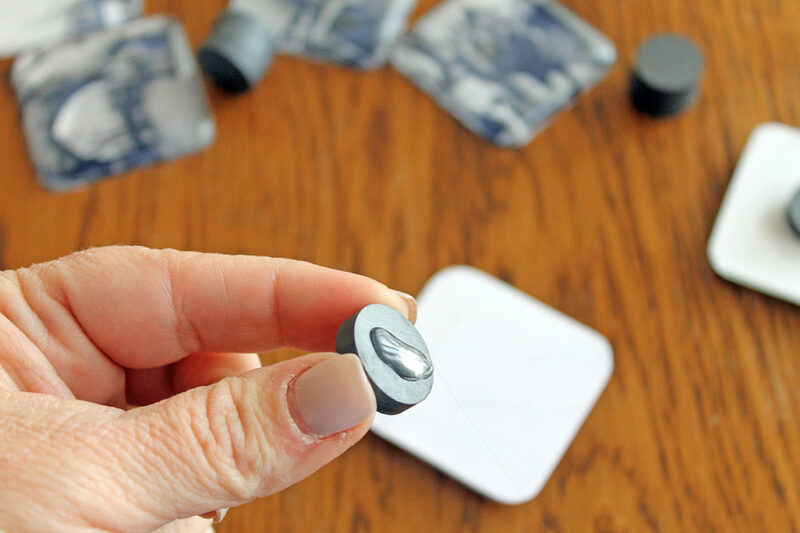 Then glue a magnet to the back, using a hot glue gun. That’s all there is to it…I told you it was simple. But look how cute it turned out! 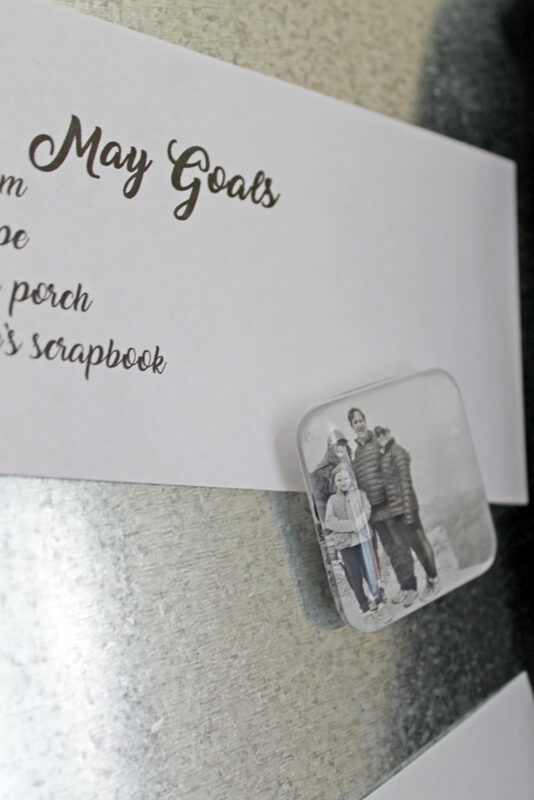 Your very own personalized magnet to give mom. I’m sure she will find lots of uses for it, and the photo inside is sure to bring a smile to her face! Happy Mother’s Day crafting, everyone! I just love this, Beth! It’s so perfect! So excited to collaborate with you again! And I LOVED your vase, Katie! Always fun working with you…you inspire me! Super cute idea!! This would make a fabulous graduation gift for my daughter, Isabel, to make and give to her besties (and boyfriend) as they all go off to college in the fall!! Can’t wait to share it with her! That’s a great idea, Tammy! They could use them in their college dorms next fall, and they would be fun memories of their high school days.